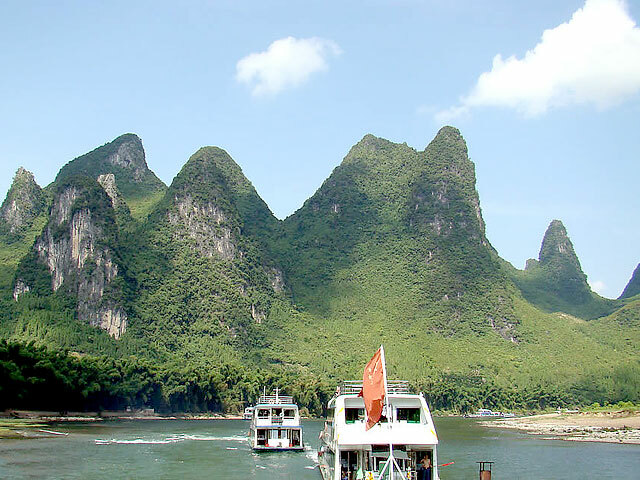 Taking this 4-day tour will take you to lots of unexpected sceneries of Guilin, Li River and Yangshuo. 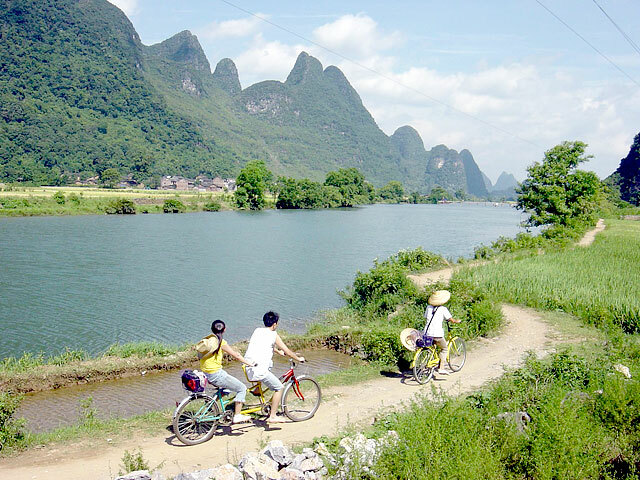 Please join us and start your memorable Guilin trip! Take the flight or train from Shenzhen to Guilin. Meet your guide at Guilin Airport or Guilin Train Station and transfer to your hotel. Free for rest of the time. After breakfast at hotel, Start to visit the highlights in Guilin–Reed Flute Cave, Fubo Hill, Elephant Trunk Hill and Yao Mountain. Reed Flute Cave is a brilliant cave marked on almost all travel itineraries. Elephant Trunk Hill is the symbol of Guilin and the summit of Fubo Hill is the best place where you can get a good bird’s eye view of the whole city. 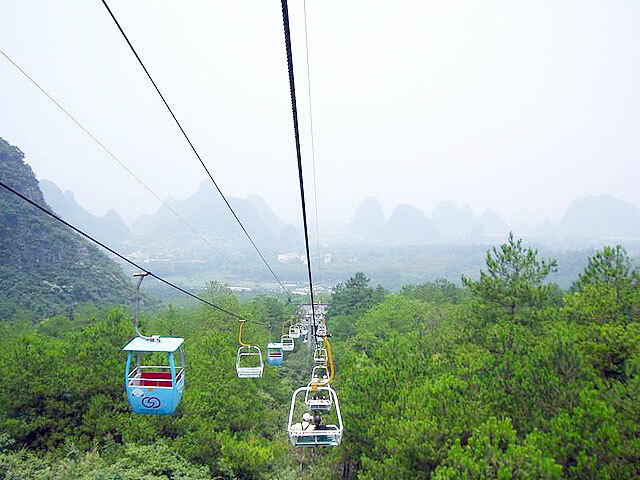 And Yao Mountain is the highest hill (903.3 meters above sea level) in Guilin. It offers very different views in each season. You can easily get to the top of it by the 1,416 meters long cable car and get a wonderful view of the peaks and surrounds. Lunch is in a good local restaurant where you will have a good chance to try Guilin cuisine. Return to your hotel in late afternoon. For this tour, comfortable walking shoes are recommended. And the sightseeing time arrangement on the 1st and 2nd day would be adjusted according to your flight or train arrival and departure time. I am currently living in Shenzhen and am looking for a tour company for my parents to travel with when they come to visit me in April. 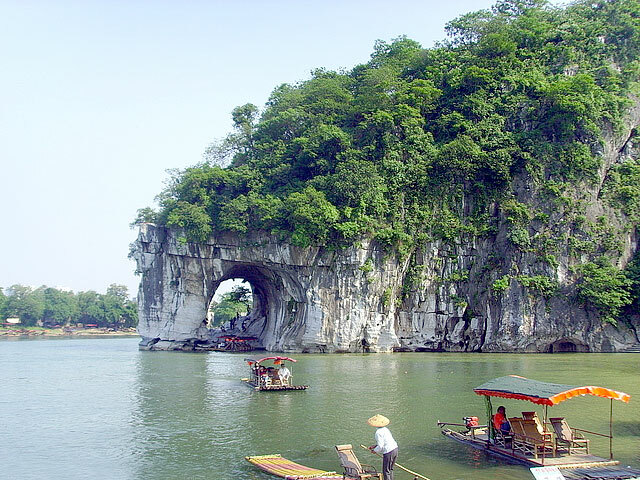 They will have 3-4 days to travel to Guilin during the week from Tuesday April 12-Friday April 15. I am wondering if it would be possible to arrange a tour for them and how much it would cost per person. Thank you. We are so glad to be of service to you. As to the trip planning for your parents, our travel specialist will be in touch with you soon via email. Hi, is it possible to arrange a 3days trip? We are so pleased to be of service to you. All our tours can be customized to suit your need. For more details, our travel specialist will be in touch with you soon via email. We are 2 people, husband & I (53 yo). We have 6 nights available to explore Guilin & area arriving to Guilin airport on Mon 29 Feb 2016 09:35am and leaving via highspeed train on Sun March 6th at 11:10am. Maybe interested in your 4 days tour type itinerary plus extra days to include: Longji Rice Terraces, Chengyangqiao Scenic Area with Dong villages, Chengyang Wind and Rain Bridge, Jiantouzhou, Xingping and Sleepy Fish Village, or what other suggestions you have. We are very glad to be of service to you. As to your trip to Guilin and neighboring areas, our travel specialist will be in touch with you soon via email.